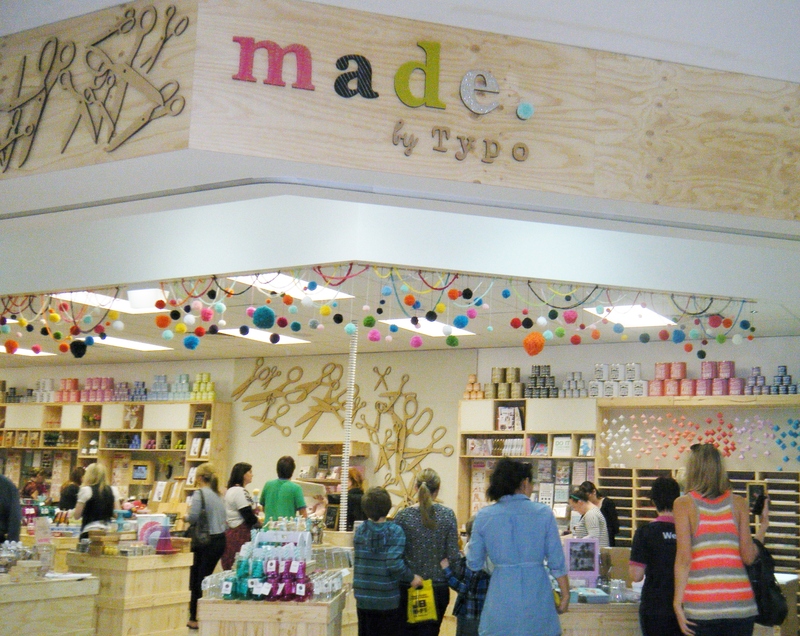 A brand new store opened yesterday in Market Square Geelong and it’s called Made by Typo! For months I’d been wondering what would be opening there (in the old Priceline pharmacy) and it totally took me by surprise…I was excited! Made by Typo is of course an expansion on the existing Typo stores, except it is completely dedicated to all things creative. There are sections for almost every creative activity you can think of! General arts & crafts, baking, sewing, drawing and much more! As a creative person, I was in crafty heaven! 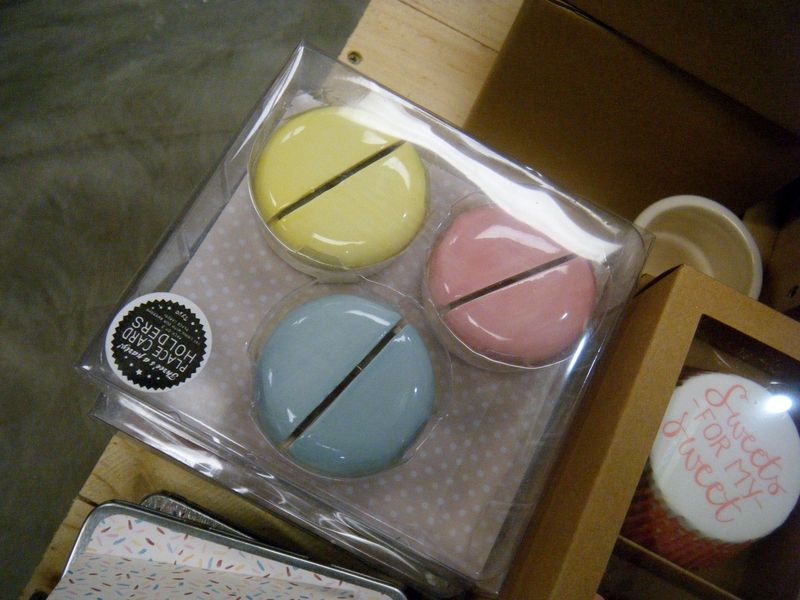 Some of the cute cupcake supplies. 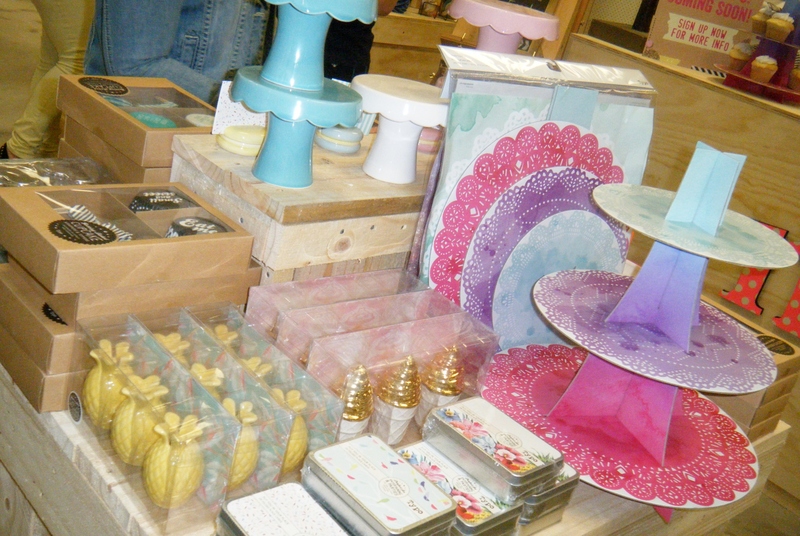 Ceramic cupcake stands, place card holders, cupcake kits and a three tier cupcake stand. My favourite place card holders, macarons! The store in Market Square is the first and (currently) only Made by Typo stand alone store, there is also a pop-up store at Rundle Mall in Adelaide. Some sections have little LCD screens that show ways that the materials can be used. I thought this was a great feature. To celebrate the opening the lovely staff were giving out cupcakes and let me just say, they were the fluffiest cupcakes that I’ve ever tasted! I am not sure where they were from, but they were yummy! All they staff were really lovely, very bubbly and welcoming. There was also a button press set up, where you could choose and cut out a picture and one of the staff would make it into a button for you. 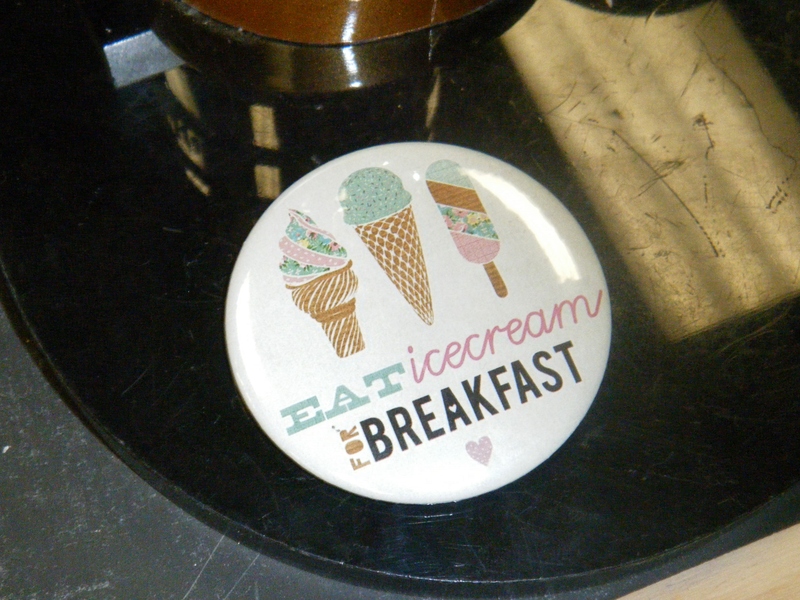 The one I chose (below) ‘eat ice cream for breakfast’, I thought it was cute. 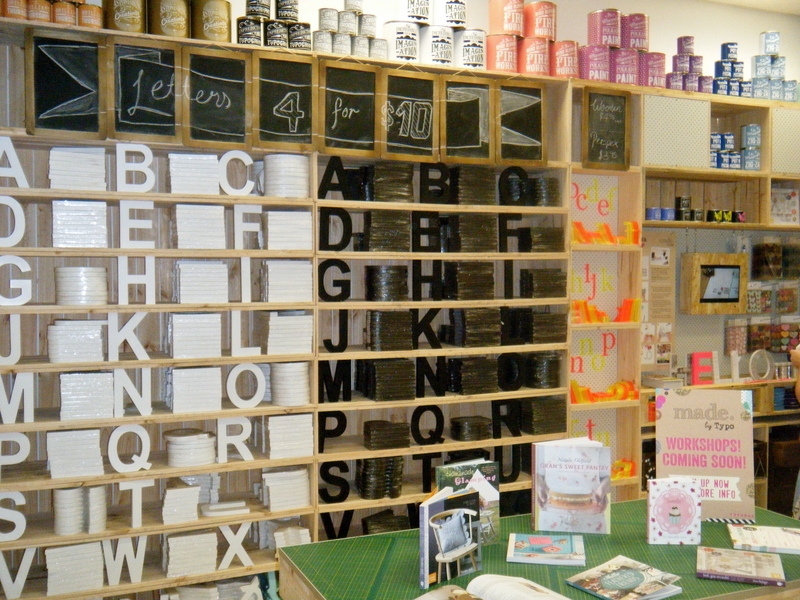 Selected items can be purchased online under the Made by Typo heading, but many of the other items can also be found at regular Typo stores. 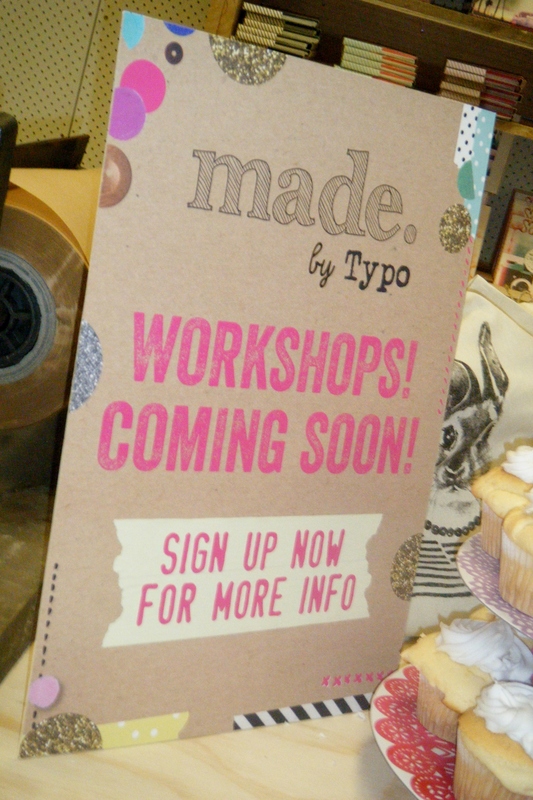 There will also be workshops soon! 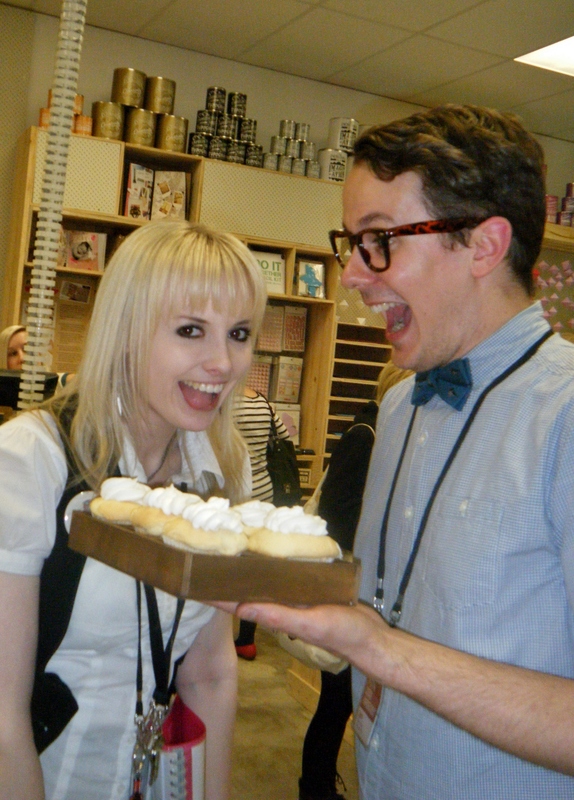 Last week, I attended the Westfield Geelong Fashion festival. The four day event (April 18-21) showcased the current season’s fashion trends, with runway shows on Friday and Styling workshops on Saturday. Also on offer were free one on one style sessions and express ‘mini’ make overs at The Body Shop. I only attended on Friday and Saturday, as they were the ‘main’ days. I booked VIP seats for both days, for Runway one (fashions from different Westfield retailers) and the first styling workshop, hosted by Renee Enright and special guest WAG, Emma Clapham. Westfield Geelong Fashion Festival- Runway 1, AW13 fashion from Various Westfield Retailers. I won’t go into great detail because I have a few posts planned featuring some of them, so I will just list them and give a brief description of each. Lace- While not a trend on it’s own, lace features in two of the season’s key trends. Gothic Romance (think a little ‘dark’, but also feminine) and Pretty Cool (a mix of pretty peices and tougher/edgier pieces). Florals- Unlike bright spring florals from last year, Autumn/Winter florals are more vintage-inspired, with darker backgrounds and woven-style, heavier materials. Leather- Be it the real deal or not, I would say that leather is one of the more prominent trends. 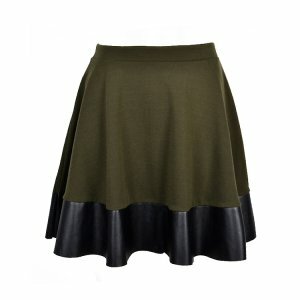 Pants, skirts or only as ‘accents’, there are leather pieces to suit different styles. Baroque- My mum asked me what ‘Baroque’ is, I described it to her as a print you would see on Victorian style fabric (drapes, lounge chairs, cushions etc.) elegant, intricate and embelished (normally in gold or other metallic threads). Just as the runway was finishing, a lady was giving out mini red velvet cupcakes from The Cupcake Bakery, yum! I noticed that skinny belts and blazers with 3/4 sleeves are two of the trends that have been carried over from Summer into Autumn/Winter, perfect examples of transeasonal items. Belts you can buy cheap and they can last for quite a while, but if you want a blazer that will last for a few seasons, it’s a good idea to ‘invest’ in something sturdier. What are your favourite trends for AW13? Would you wear leather pants?